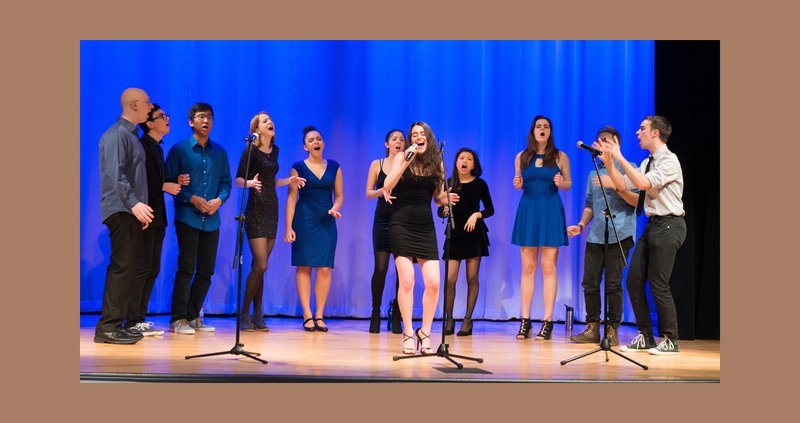 Out of the Blue is Yale University's award-winning contemporary A Cappella group, known for its tight vocals and electric performance style. Founded in 1986 by a group of eight students determined to create a new brand of "Yale A Cappella," Out of the Blue (OOTB, pronounced OOT-bah) has evolved into Yale's most dynamic vocal group, entertaining audiences near and far with an eclectic repertoire of current and classic pop, rock, R&B, jazz, and dubstep. OOTB has performed in diverse and prestigious venues, from the United States Embassy in Singapore to Madison Square Garden in New York City. The group has opened for major recording artists like Ben Folds and performed for Nobel Laureates, Supreme Court Justices, and local New Haven schoolchildren. In addition to performances, OOTB leads master classes for students all over the world, many of which have inspired kids to start their own school a cappella groups. Each year, OOTB embarks on 2-3 tours to share our music with audiences across the world. Recent tour destinations have included London, Rio de Janeiro, Montreal, Singapore, Geneva, Ukraine, Hong Kong, and cities all over the United States. This year, the group plans to tour Boston, San Francisco and China. When OOTB isn’t performing, we enjoy being a part of one of the most close-knit groups at Yale. We come together three times a week to rehearse, and love to get together outside of rehearsal to eat, laugh, dance, and, yes, sing together. OOTB is an ever-expanding community of musicians and friends, as evidenced by our wildly enthusiastic alumni. From our annual Parents' Weekend and spring Jam concerts to national a cappella competitions, we can always count on multiple generations of OOTBites to come together to support us.